Don't Miss Dr. Begbie this Saturday! Join us Saturday, April 6, from 9:30 AM - 1:30 PM and come and hear what classical music has to say about the Gospel! Don't miss it! 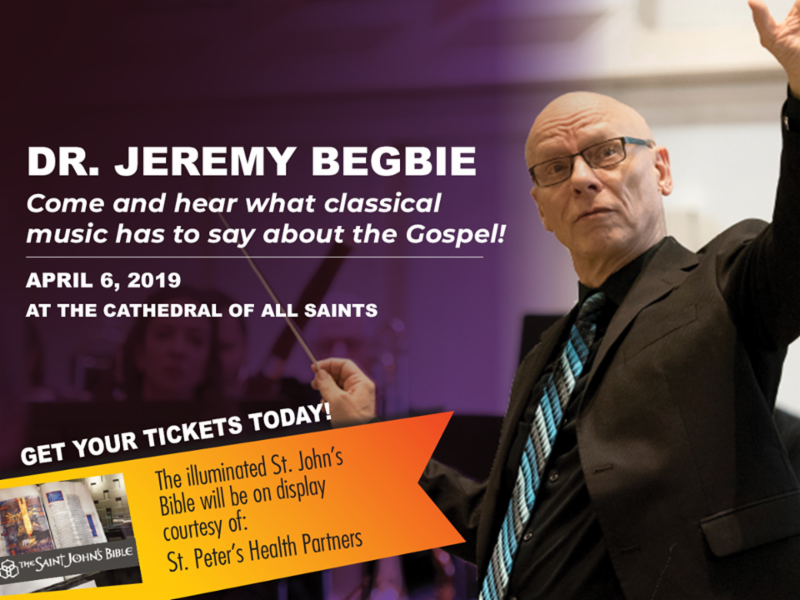 In partnership with Cathedral of the Immaculate Conception , The Cathedral of All Saints welcomes Dr. Jeremy Begbie, founding director of Duke University’s Initiative on Theology and the Arts, for the first major Cathedral Arts event. The illuminated St. Johns Bible will also be on display, courtesy of St. Peter's Health Partners . The MEDITATION begins on Sunday, April 14, at 3:00 PM, sung by The Cathedral Choir of Men and Boys and the Choir of Lincoln College, Oxford. The liturgy will be preceded by an organ recital at 2:30. April 9, 2019 | 10:00 a.m.
Don't miss the Women's Retreat Closing Ceremony! The general public is invited and encouraged to attend. 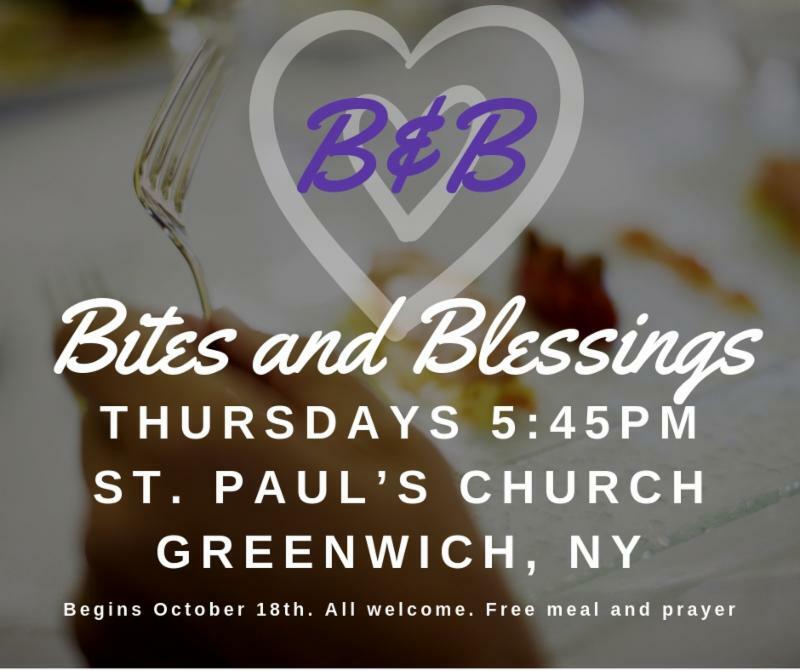 The Welcome Home Initiative© is a Veterans Ministry facilitated north of Albany, NY on the campus of Christ the King Spiritual Life Center near Greenwich, NY, that offers healing for military veterans and the spouses of military veterans who have served their country in combat. These veterans may be suffering in varying degrees from post-traumatic stress or moral injury and are in need of soul repair. Looking for events and happenings in and around the Diocese - click here to visit our online calendar. A vigil is when people stay awake for a specific cause or reason when they would normally be asleep. We hold a vigil the night before Easter Sunday, to prepare ourselves to celebrate Jesus being raised from the dead. Starting at 8:00pm on 4/20, we will have a short Bible reading followed by a praise song. This lasts about 5 minutes in total. 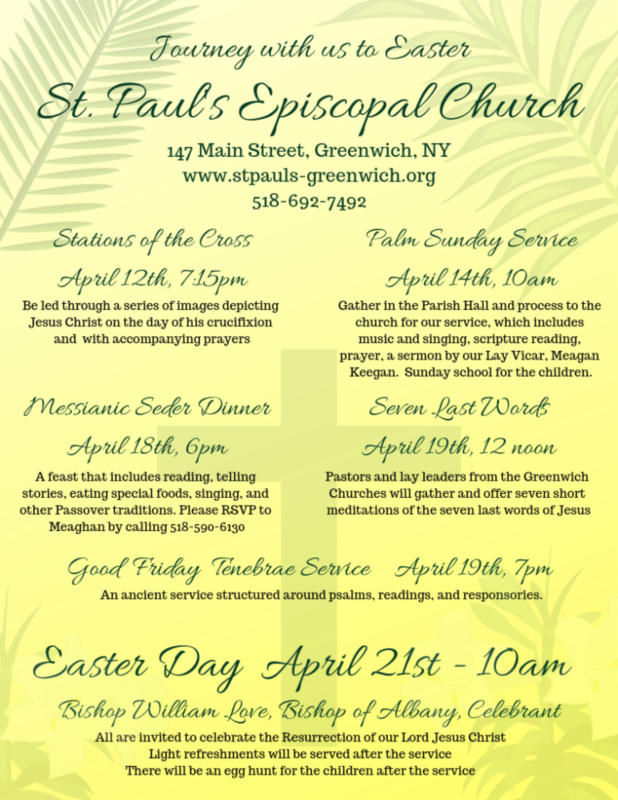 Afterwards, different activities and stations are set up to help you prepare for Easter. It is more of a quiet time, but we will have a space to socialize with people. We repeat this cycle each hour until the sunrise service at 7:00am on 4/21, Easter Sunday! Anyone is welcome to join us for as much or as little of the night as you like. You can RSVP here at Oaks website so we know how much food to supply. Accompanied by a professional orchestra, the Jubilate Singers will present their eighteenth annual program at Bethlehem Lutheran Church 85 Elm Ave., Delmar, one week after Easter on Sunday, April 28, 2019. Their message - Sing for Joy - extends the joy of Easter with selections from Messiah to remind us of the empty tomb of Jesus. Other pieces project the joyful ways Christians share that Good News! Tickets are available at Bethlehem Lutheran Church: Adults $20, Seniors and Students $15, children 12 and under are free. Patrons are always welcome. 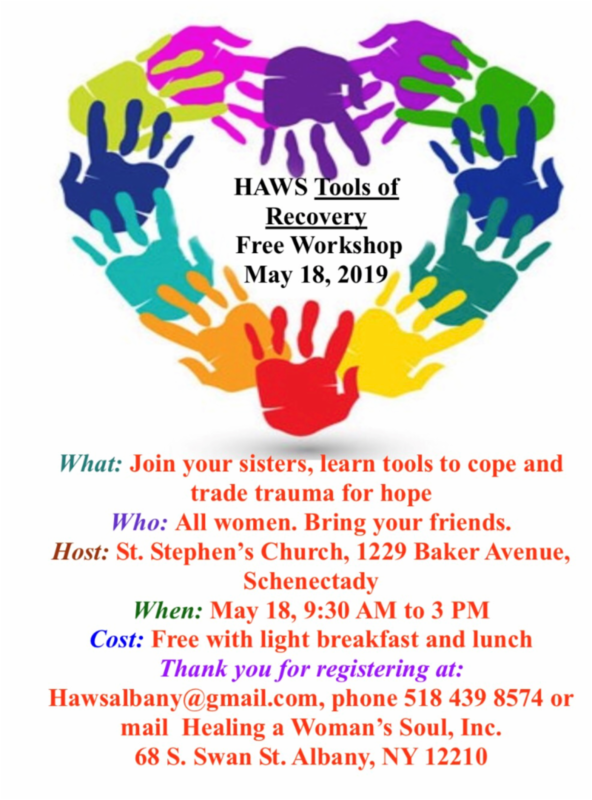 For more information call 518-439-4328. Have you wanted to experience, first hand, the lands of the Bible? Jerusalem, the city of David and Nazareth the childhood home of our Lord Jesus? How about the red rock city of Petra in the country of Jordan? We will also see the Baptismal Site of Jesus at Bethany which is considered the Historical site of Jesus' Baptism. On the last day of our trip we will have a Holy Eucharist service at the Garden Tomb, which is, indeed, a very special place. If you are interested in joining us on this marvelous trip and to explore the land where Jesus walked, please contact Fr. Art @ 518-307-7307 of via e-mail ps23v1@aol.com , for pricing and more information. 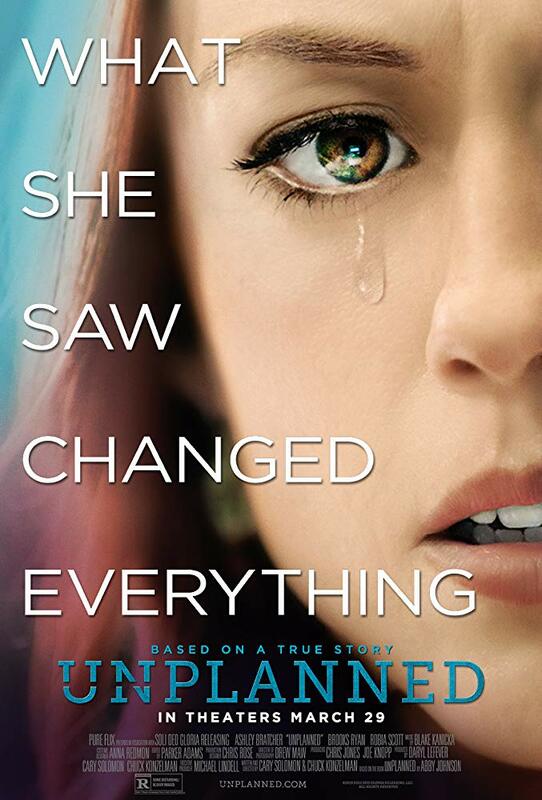 You may be interested in heading to Crossgates Mall to view the film Unplanned, the inspiring true story of one woman’s journey of transformation. For more info click here and check with local theaters for showtimes. The Ellis Hospital Pastoral Care Department is looking for volunteers to provide compassionate, friendly visits to patients and their families. Invitations and RSVP forms for the Clergy Wives Retreat, May 3-5, are being mailed this week! Please plan to come and share in the teaching of Hilary McClay [ link to bio here ]. Joining Hilary is Glynis Matchett, a member of the staff team at Willowfield who heads up prayer ministry and healing teams both at Willowfield and at New Wine Ireland. The theme of the retreat is "For such a time as this..." "How can we make our lives count, and walk in the ways that God has prepared for us? 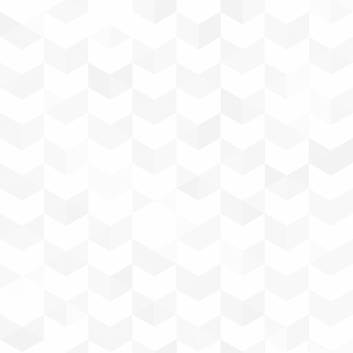 How do we tune our hearts and our lives to follow the leading of the King of Kings? During the retreat we will be reflecting on what we learn from the stories of key people in both the Old and New Testaments who trained themselves to listen and respond to the voice of God and act on what they heard and saw the Father doing." If you have any questions, please contact Margaret Haskell at mwjhaskell@nycap.rr.com. Cursillo is a weekend retreat that is designed to show us how to have a closer relationship with our Lord and how to share His love with others. “I strongly recommend Cursillo as a way to strengthen your faith” stated one of the men after his weekend. 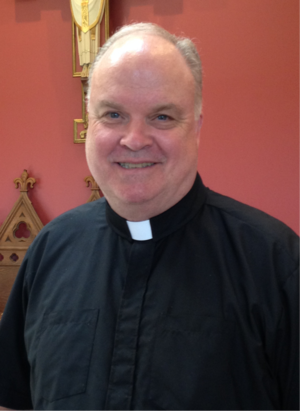 Gary Roosa will be leading the next Men’s Weekend on June 21-23 at Christ the King Spiritual Life Center in Greenwich NY. 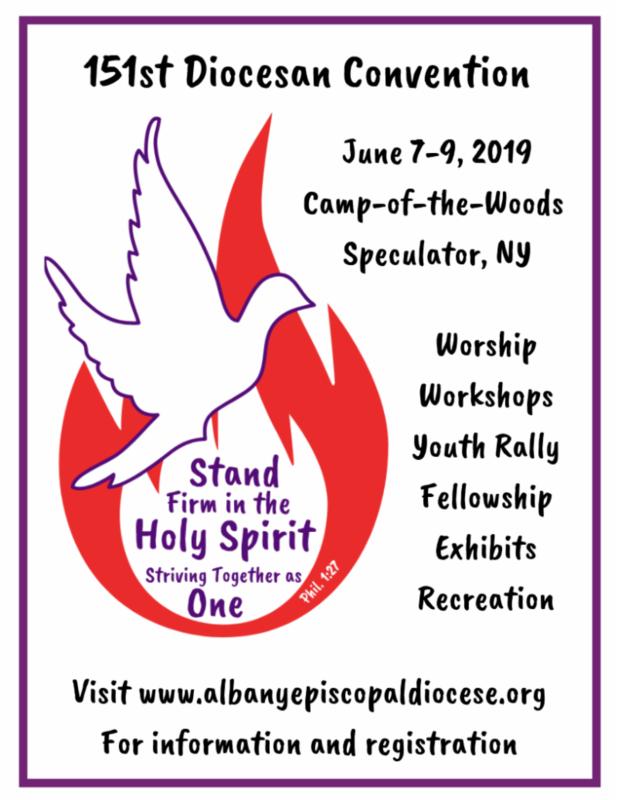 If you are interested in attending speak to your clergy, ask if anyone in your church has attended, visit the website at www.albanyepiscopalcursillo.org or contact John Hyde at 518-376-9477. If you have attended a weekend please pray about who you may want to sponsor as we will limit the candidates attending to 16. Vacation in the Adirondacks. St. Thomas' Church in Tupper Lake is seeking Sunday supply for July and August. Rectory available. One Sunday service compensated at $200. Lots of water for paddling, fishing, etc. Wild Center a 1/2 mile drive. Lots of trails for hiking and climbing. Contact Fr. Bill Cooper to book a week or more at 518-359-5121.